Hello, and welcome back to our blog! 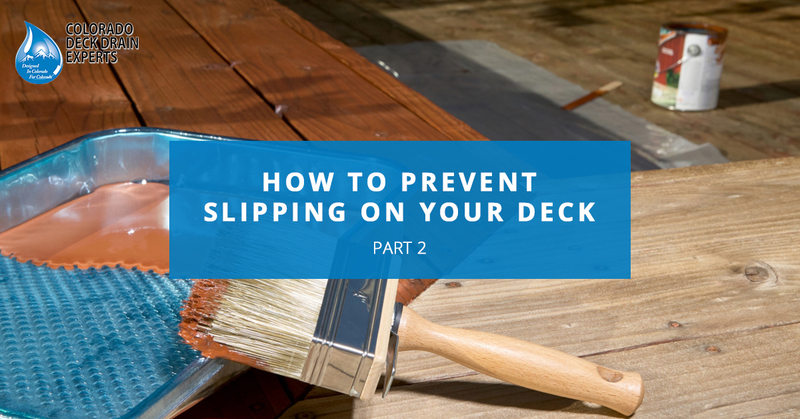 If you recall from last time, we talked about several ways you can reduce the slip on your deck in order to prevent nasty falls and other safety hazards. We talked about using rugs and mats where possible; applying anti-slip coating to your entire deck, and using textured abrasive tape on stairs and outside your pool. This time, we’ll talk about several more ways to avoid slipping on your deck so you can enjoy your backyard the way it was meant to be! 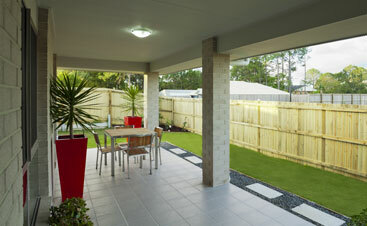 If you really want to enjoy your deck all year round, you’re going to need to shovel it regularly. If snow is left on it for too long, it will start to compact and turn to ice, especially if you’re walking on it a lot. Make sure to shovel your deck immediately after it has snowed, even if it was a small amount. With that being said, if you weren’t able to shovel your deck after it snowed, and you still want to enjoy your deck, make sure to wear ice grippers. You can leave these by the door so that whenever someone goes outside, they can slip them on. Just make sure that if there are any dry spots on the deck, you don’t step on them with the ice grippers on. 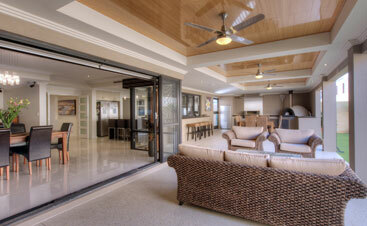 They can damage your deck and remove sealant or anti-slip coating. 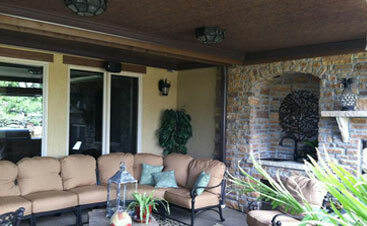 Awnings are a great tool for preventing a slippery deck. 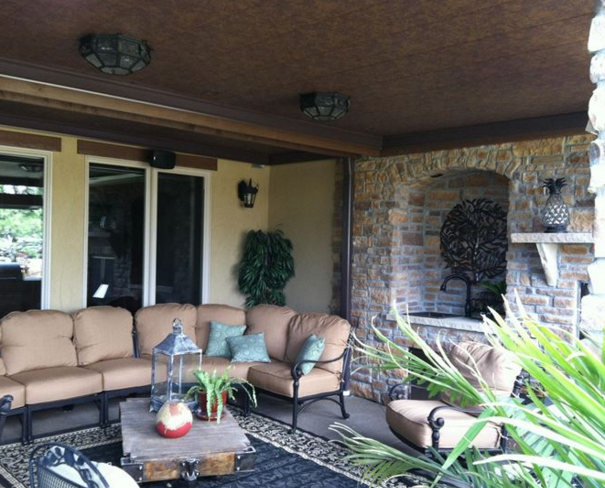 If you like to enjoy your deck all year long, it may be best to have several. In the winter, either make sure snow doesn’t build up on them and damage them or remove them until spring hits. 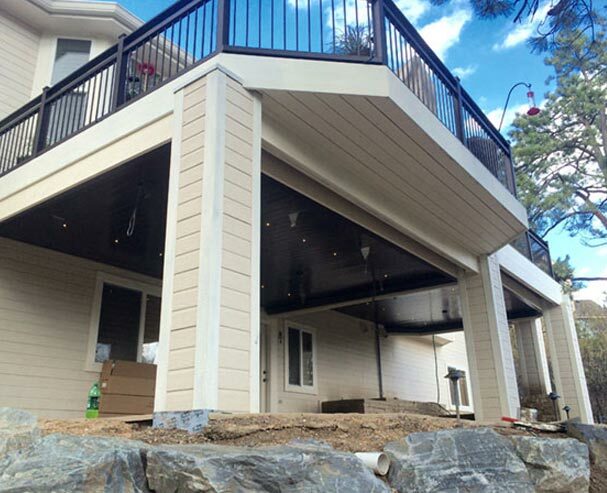 If you have an elevated deck, chances are, you want to protect the area beneath it, not just to keep everything dry, but to make it safe for enjoyment all year long. Without proper drainage, you won’t get any use out of your underdeck area in rainy or snowy months and may ruin your belongings if they’re left out. At Colorado Deck Drain Experts we have two deck drain systems to offer: the Dry-B-Lo Concealed System and the Dry-B-Lo Contemporary System. Both are great options depending on what you’re looking for. 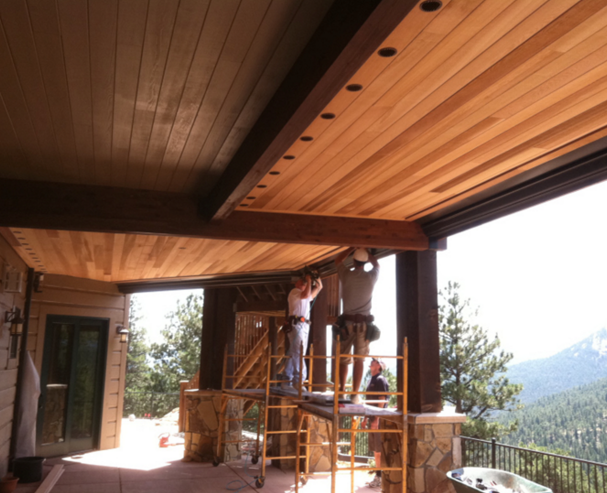 Don’t hesitate to contact us today and learn more about our innovative deck drain systems in Colorado.